Discussion in 'Gameplay Discussions' started by Laguna, Sep 16, 2018. I know it's not the best in korean but it's somehow understandable with pictures. 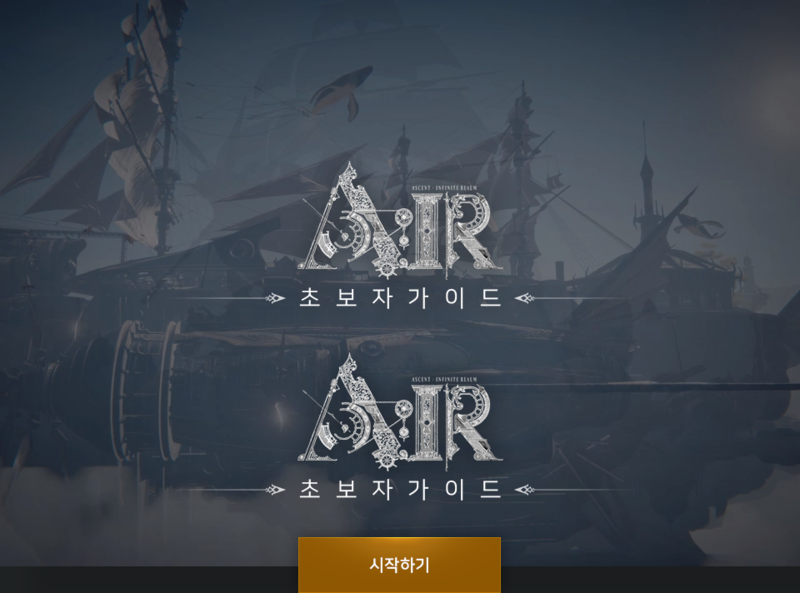 It is all the latest news that we can see on the official korean website of A:IR. Basically, we don't have much to eat but it's also the case for Korean players. The latest news from March 20th is not even related to A:IR but a change to Bluehole's policies. I think that Bluehole are working on their product thanks to the feedbacks gathered in the previous CBT (and maybe our discussions on this forum who knows ?). Anyways it is hard to predict what is happening but A:IR is not a kickstarted/crowdfunded project and we - as players - are not their investors so they don't have any obligation to apply any form of transparency during the game developement, sadly. All we can do right now is hoping for more news in the next few weeks/months, I sincerely hope that Bluehole worked hard to improve A:IR and deliver an awesome MMO experience after all this wait and MMO shortage (/wave at BLESS Online). 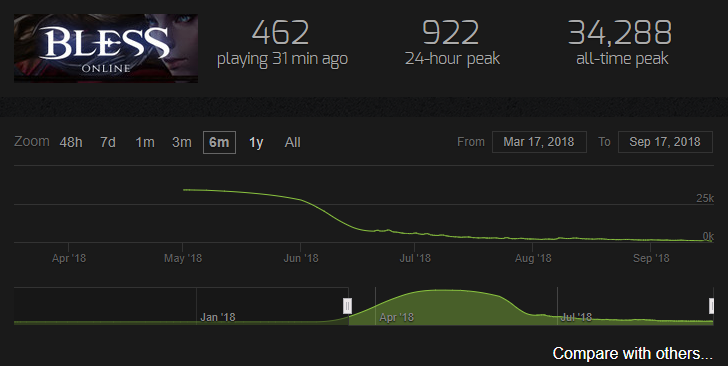 As you can see above, this is the whole playerbase of BLESS Online NA/EU, launched a few months ago and yet struggling to reach 1000 players per peak. IMHO the worst MMO fail of the decade, worse than WildStar because the latter never really had any kind of revamp. Bluehole must be aware of this danger since A:IR is already seen as another BLESS Online in its form (UE3) and content (playstyle). The latest experience that players have had with BLESS can obviously impact the way they perceive A:IR right now so this might clearly be an issue and definitely not the least. Thank you for the work on the Laguna! I hope your theory is correct and the development team for A:IR is concentrating their efforts on delivering a quality game to the players and not banking on the "we can fix it later" mentality that BLESS presented to their audience earlier this year. I also want to note that I hope Blurhole and Kakao Games notes the positives to sharing information and the negatives to restricting the flow of communication. For example a news/updates schedule like Ashes of Creation vs the drought of information the community had during Bless' development. Engaging the community early after a games announcement is paramount to a successful release. Around the holidays of last year some great tid bits about lore, class design and creatures released, and it was sad to see that the articles stopped shortly after the new year and the activity on these forums seems to have dropped significantly since the initial announcement throughout 2018. So I hope we hear something soon. I think it is imparative we get an update on development (regardless what the news is) since players are beginning to be drawn away by the rising number of Western MMORPGs closing in on Alphas and Betas. Especially since they are engaging the playerbase, allowing us to see the process and what they are doing. Anyway, that was just my two sense on the bit. WHAT WORRIES ME MOST ABOUT MMORPGS during ddevolupment is when they dont ask the community for feedback or suggestions. This is a big mistake and the reason why bless was unsuccesfull. They didn't bother listening to the community and ommited features they were pleading for. Sure they did buy to play without pay to win which was requsted by the western audience, but they got no feedback on there combat or anything else before it was released to the masses untested and approved by the community it was doomed. Also the game is horribly optimized and I mean it's BAD. I hope this game doesn't make the same mistakes an open world should be open there should be any instances except maybe a few raids. I hate to say this but Archage had almost everything right except the business model. It created massive gear gaps between players who had big wallets and eventually killed the game. But the housing, and raids and combat were top notch. Not just Archeage, Black Desert as well technically have good game-design with quality in mind. I will tell you what happened with both these games; quality was considered when it comes to game-design, greed(not longevity) was considered when it comes to business model. If there's anything that tells us about the failure of Bless, a good Business Model that is favorable to the players means nothing if the game is not quality, while in Black Desert, the game is worth it because it's quality, even with it's greedy Business Model. Quality is what makes an MMO what it is, Business Model (and maybe the quality of the game as well) is what determines it's longevity. If A:IR comes out in poor quality, then none in the world can care about it, even if you are to pay me to play your own game. To make a quality game requires quality in mind, not business factors! If you can't learn this now, you will learn it the hard way when your game flops the same way as Bless! I don't want this game to fail, I want it to suceed. Unfortunately, that's not up to me, that's up to the devs. If it fails, then I can't do anything else but leave, exactly like what I did in Bless.